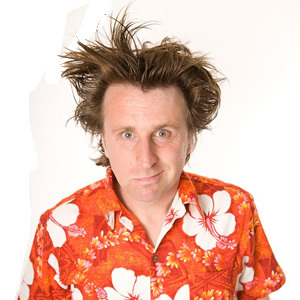 One of the regulars on Mock the Week is Milton Jones. I’ve always thought that he comes over as a ‘good bloke’ but didn’t realise that he was a Christian until I read this article about him where he discusses being a Christian who is active on the Stand Up circuit. If I was to talk about how I see the world in faith terms, people wouldn’t laugh probably. As soon as you say that you are a Christian, it doesn’t matter how many times you smile and hug, because basically you are telling people – if they aren’t a Christian – they are wrong. Some people see the church as a giant helicopter. They’re scared to get too close in case they get sucked into the rotas. One of my favourite Christian thinkers at the moment is Tim Keller. A theology lecturer turned pastor who leads Redeemer church NYC, one of the most influential churches in the US. What I like about him is that he is both a practitioner and thinker. He is adapt at reading the culture of the day, and offering a persuasive and critique and a credible Christian alternative.